Does your family sit down together to eat dinner? I know with the hectic life's most families live this seems to be happening less and less. Studies have shown that children who eat dinner regularly with their families do better in school and have healthier self esteems. I know that for my family personally we always try to eat together at the table. With every meal we eat at the table comes the daily blessing but the kids seem to say the same thing each time. So I was looking for something that could help our family get out of the memorized dinner blessings that seemed to have lost their meaning. 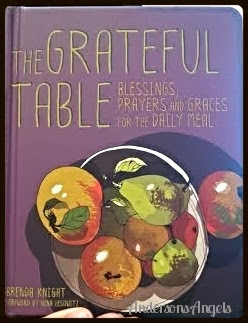 With that said I was excited when I contacted to review the book The Grateful Table. Saying grace is one of our greatest traditions. 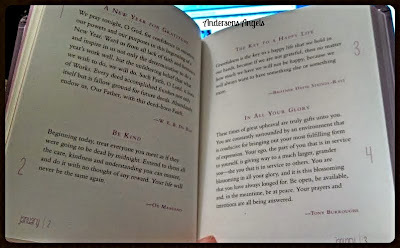 The Grateful Table offers 365 wonderful blessings a different one for each day of the year. So you don't have to worry about getting stuck in the memorized lost meaning blessings like my family had. 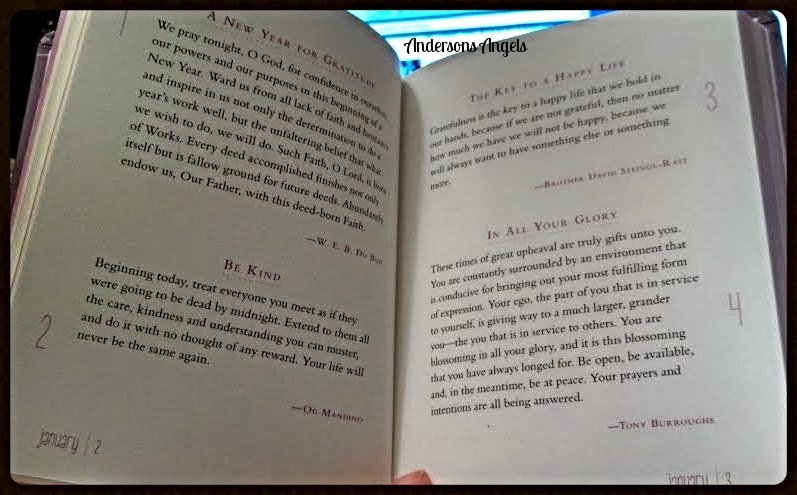 There are prayers from the 18th-century for Thanksgiving to devotionals from world's wisdom traditions and sincere expressions of thankfulness by Alton Brown, David Foster Wallace, Sheryl Crow and many others. The Grateful Table shows us the way to begin every meal with an open heart. Since Bubba is the only one of the kids who is old enough to read right now Jake, Bubba and I take turns reading the blessing each day. We like to have the kids take turns saying the blessing for our meals. I think it helps them learn the value of the blessing and the importance of thanking God for what he has provided our family. How would you like to own this wonderful book? Well if you would then make sure you enter the form below. We try to always eat dinner as a family.I love the idea of this book. We would probably say grace ourselves every night, but one of the boys could read from the book every night too. We all sit down to dinner together almost every day. We try to but just the kids and I. My husband works second shift. we eat dinner together every night that we can... And I Love it! That sounds like a perfect book and using it during meal times is a great idea. Yes, we sit down together and pray before every meal, it's very important to us! I have never heard of this book until now but I would love to have it! Yes, we do because it's an important family ritual for us.